Other posters are probably correct...there might be spaces mixed in with your tabs. Try doing a search & replace to replace all tabs with a few spaces. Uncheck the Indent Using Spaces option as well in the same sub-menu above. This will immediately resolve this issue. Note, it is recommended that you don't use tabs in Python code. See the style guide. You should configure Notepad++ to insert spaces for tabs. Whenever I've encountered this error, it's because I've somehow mixed up tabs and spaces in my editor. 3) Double check your indenting is still correct, save and rerun your program. The line: result = result * i should be indented (it is the body of the for-loop). This auto indents everything and will clear up any spaces you have thrown in. Looks to be an indentation problem. You don't have to match curly brackets in Python but you do have to match indentation levels. The best way to prevent space/tab problems is to display invisible characters within your text editor. This will give you a quick way to prevent and/or resolve indentation-related errors. Also, injecting copy-pasted code is a common source for this type of problem. If you use notepad++, do a "replace" with extended search mode to find \t and replace with four spaces. I had the same issue yesterday, it was indentation error, was using sublime text editor. took my hours trying to fix it and at the end I ended up copying the code into VI text editor and it just worked fine. ps python is too whitespace sensitive, make sure not to mix space and tab. Just a addition. I had a similar problem with the both indentations in Notepad++. # Some awesome temporary comment. # But there is actually nothing in the function! I was using Jupyter notebook and tried almost all of the above solutions (adapting to my scenario) to no use. I then went line by line, deleted all spaces for each line and replaced with tab. That solved the issue. Firstly, just to remind you there is a logical error you better keep result=1 or else your output will be result=0 even after the loop runs. Leaving a line will tell the python shell that the FOR statements have ended. If you have experience using the python shell then you can understand why we have to leave a line. It could be because the function above it is not indented the same way. i.e. This is because there is a mix-up of both tabs and spaces. You can either remove all the spaces and replace them with tabs. at the beginning of the code. This line resolves any differences between tabs and spaces. 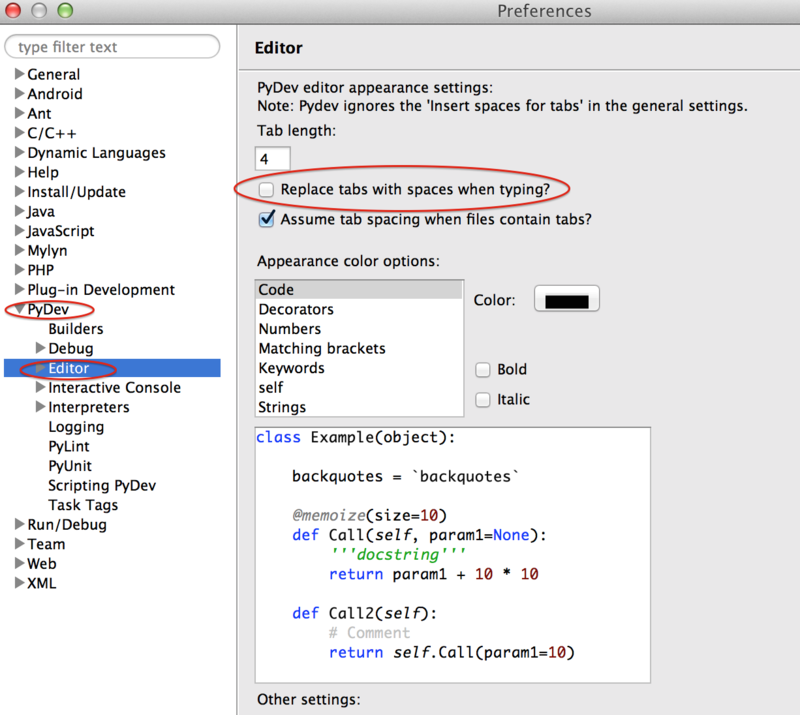 """docstring is indented too much"""
the best python friendly IDE or Editors are pycharm ,sublime ,vim for linux. even i too had encountered the same issue , later i found that there is a encoding issue .i suggest u too change ur editor. Not the answer you're looking for? Browse other questions tagged python indentation or ask your own question. Why am I getting “IndentationError: expected an indented block”? Unindent does not match any outer indentation level?